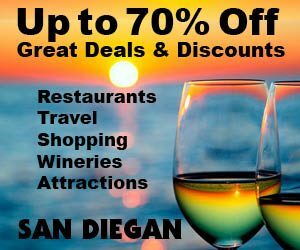 Posted July 31st, 2017 by hannahmussey & filed under Antiques, Attractions, Attractions in Balboa Park, Attractions in Carlsbad, Attractions in Coronado, Attractions in Del Mar, Attractions in East County, Attractions in Encinitas, Attractions in La Jolla, Attractions in Lake Elsinore, Attractions in Mission Bay, Attractions in Oceanside, Attractions in Old Town, Attractions in Point Loma, Attractions in South Bay, Attractions in the Downtown Gaslamp Quarter, Balboa Park Corporate Meeting Venues, Balboa Park Museums, Balboa Park Weddings, Banquets and Catering, Business Events, Central San Diego, Coronado Corporate Meeting Venues, Coronado Weddings, Downtown Museums, East County, East County Corporate Meeting Venues, Escondido Museums, Historic Missions, Historic Museums, International Museums, Military Museums, Museums, Neighborhoods and Suburbs, North County Coastal, North County Inland, Point Loma & Shelter Island Weddings, Regional, Rosarito Beach, San Diego, San Diego Bay Events, San Diego Blog, San Diego Coupon, San Diego Coupons, San Diego Events Calendar, San Diego Events Calendar Things To Do, San Diego Tours, San Diego Weddings, South Bay, South Bay Weddings, Temecula Weddings, Things to Do, Wedding Planners, Wedding Venues, Weddings. Posted October 8th, 2009 by Barry Berndes & filed under Attractions in Old Town, Historic Museums, Historic Sites, Kids, Kids Attractions, Kids Party Venues, Live Theatre, Major Attractions, Military Museums, Museums, Old Town. The Mormon Battalion Historic Site is located in Old Town, at the corner of Harney and Juan Streets. Walk in the steps of The 500 men Mormon Battalion, Army of the West, as they left Winter Quarters, Iowa, and began their infantry march from Fort Leavenworth to the California Pueblo of San Diego. They are open daily from 9 a.m. to 9 p.m., there are also guided tours and admission is free. Posted May 20th, 2009 by Barry Berndes & filed under Attractions, Aviation Museums, Banquets and Catering, Golden Triangle, Historic Museums, Historic Sites, Kids, Kids Attractions, Kids-2, Military Museums, Mira Mesa, Miramar Road Museums, Museums. Posted May 13th, 2009 by Barry Berndes & filed under Attractions, Attractions in Old Town, Attractions in Point Loma, Military Museums, Museums, Old Town, Point Loma, Point Loma Museums. 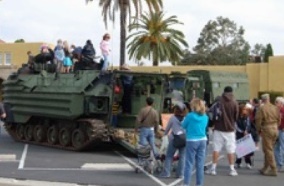 Posted April 16th, 2009 by Barry Berndes & filed under Attractions, Banquet Venues, Bay View, Corporate Meeting Venue, Historic Museums, Historic Sites, Kids Party Venues, Major Attractions, MCRD Graduation Party Venues, Military Museums, Military Wedding Venues, Museums, Party Venues. Posted April 9th, 2009 by Barry Berndes & filed under Attractions, Attractions in Balboa Park, Aviation Museums, Balboa Park, Balboa Park Banquet Venues, Balboa Park Banquets & Catering, Balboa Park Corporate Meeting Venues, Balboa Park Museums, Balboa Park Party Venues, Balboa Park Weddings, Banquet Venues, Banquets & Catering, Corporate Meeting Venue, Historic Sites, Kids, Kids Attractions, Kids Party Venues, Military Museums, Military Wedding Venues, Museums, Party Venues, Wedding Venues. 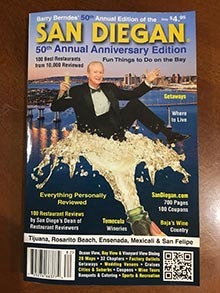 Posted March 4th, 2008 by Barry Berndes & filed under Attractions in Balboa Park, Aviation Museums, Balboa Park, Balboa Park Museums, Banquets & Catering, Banquets and Catering, Corporate Meeting Venue, Historic Museums, MCRD Graduation Party Venues, Military Museums, Museums, Party Venues.